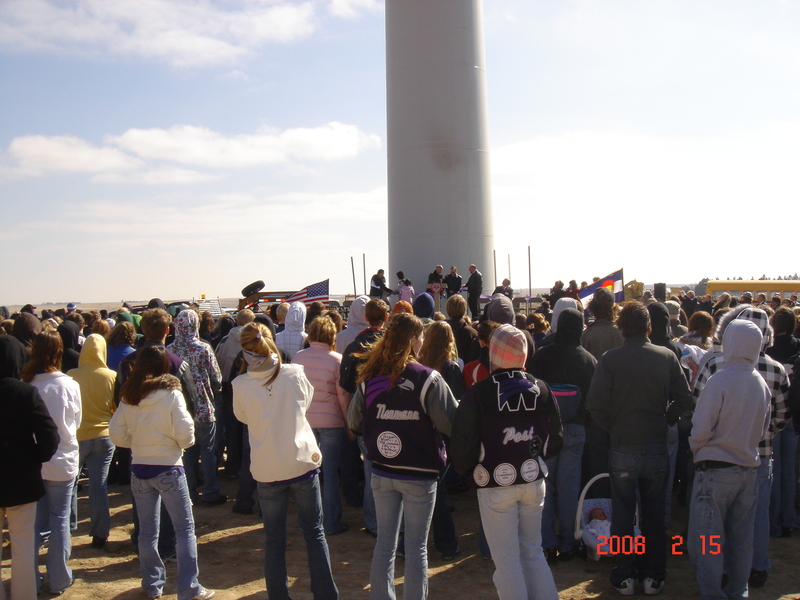 With funding with NativeEnergy, the Wray School District built a wind turbine that produces renewable energy and needed income. 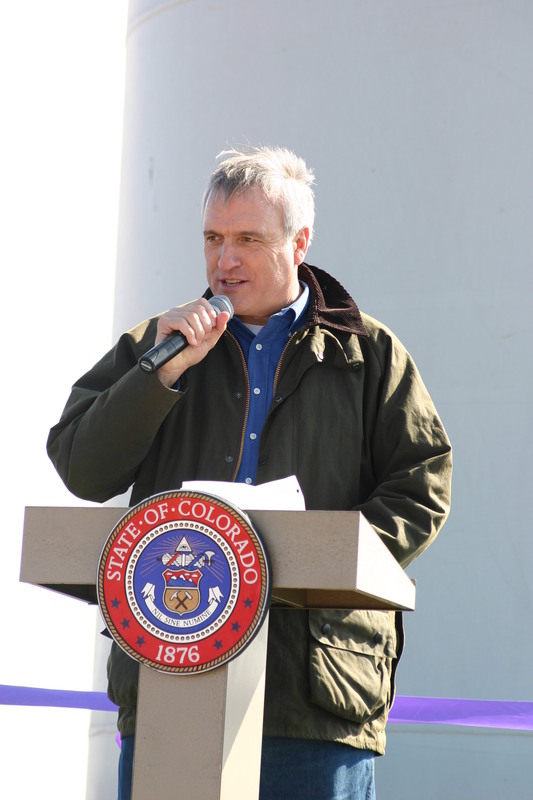 Jay Clapper, the Vo-Ag instructor, thought a wind turbine would be a perfect way to decrease spending and provide educational opportunities for students. But after three years of effort, tapping funding sources from a $350,000 Energy Impact Grant to individual pledges from local residents, the school district still found itself approximately 14% short on funding. The project was at a standstill. 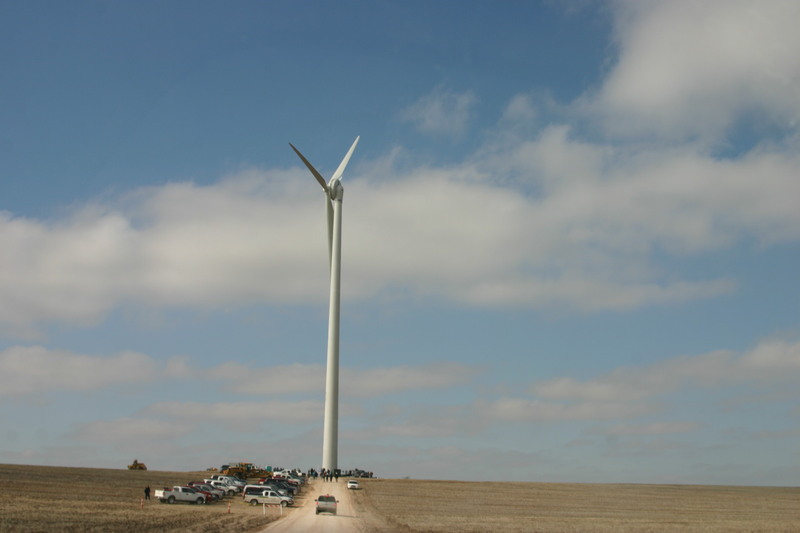 NativeEnergy’s commitment to fund this turbine enabled it to be built in 2008. The average wind speed at the site is estimated to be 18 mph, and the turbine on average produces over 2,000,000 kilowatt hours (kWh) of clean energy per year, enough to power over 200 homes. This project is a collaborative effort between the Wray School District and NativeEnergy. This project’s emissions reductions are calculated using the Climate Neutral Network’s methodology. This project meets NativeEnergy’s stringent additionality criteria.